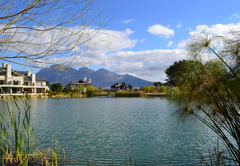 Pearl Valley Golf Safari SA is a property providing self catering in Paarl for tourists visiting the Cape Winelands region. 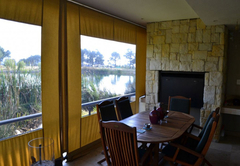 Pearl Valley Golf Safari SA offers accommodation in a self catering lodge and a hotel suite apartment. 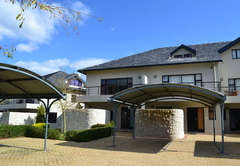 The estate has a swimming pool golf course, equestrian centre, on site spa, hairdresser, restaurant and more. 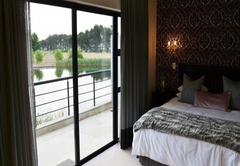 The golf lodge sleeps eight guests in four bedrooms each with an en-suite bathroom. 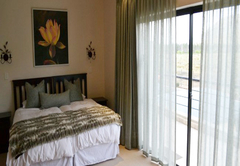 Two bedrooms have their own private balconies. 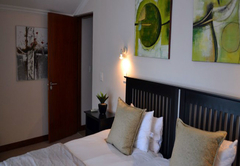 Furthermore all rooms can be heated or air-conditioned. 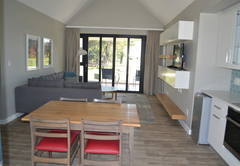 The open plan ground floor living area of the Golf Lodge is beautifully furnished and thoughtfully laid out. The dining room suite seats a people. While a large, comfortable L-Shaped couch set is perfect to enjoy a movie or sport on the flat screen TV. 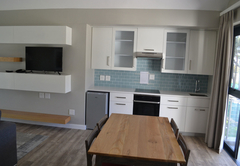 The kitchen is fully equipped for your self catering needs and kitted with modern appliances. 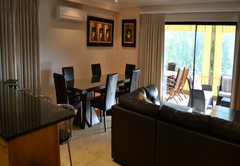 In addition there is a built in gas BBQ for that perfect relaxed lifestyle. 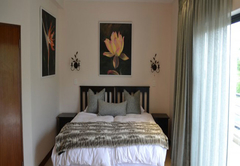 The modern apartment sleeps four guests in two bedrooms. 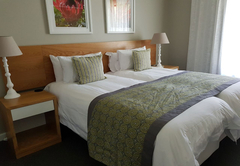 The main bedroom has a double bed and an en-suite bathroom and the second room has two single beds and an en-suite bathroom. 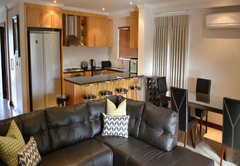 Although part of the Hotel, this unit has a fully equipped kitchenette offering our guests the option of preparing their own light meals. 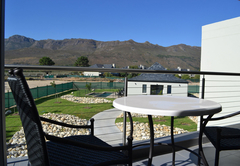 The kitchenette, dining and living areas are all open plan and lead onto an outdoor patio facing the golf course and Simonsberg mountain range. 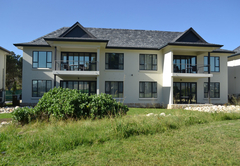 The Estate does not permit pool usage for guests that are booked to stay at the estate for less than 4 nights. 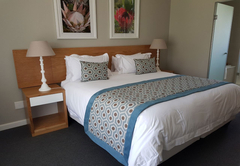 The Golf Lodge has 4 bedrooms, all with en-suite bathrooms & either King or Twin beds. 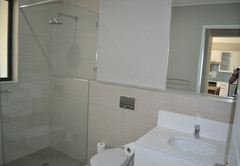 Bathrooms have heated towel racks & underfloor heating. 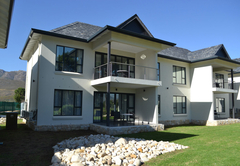 Fully equipped kitchen, spacious lounge with gas fireplace, covered patio with a built-in BBQ & double carport. 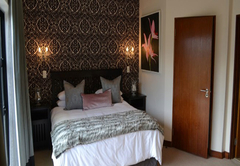 Two bedrooms both with an en-suite bathroom, kitchenette with dining area and a comfortable lounge. 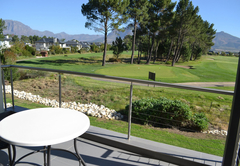 The unit has magnificent garden and golf course views. 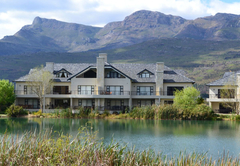 Response timePearl Valley Golf Safari SA typically responds to requests in 5-10 minutes.